"Why should I read?" Can your students answer that question? Do they have trouble seeing the importance that reading may have in their lives? Are they lacking motivation, both in academic and recreational reading? Do you think you can effectively teach reading strategies if students don't understand the benefits of literacy? 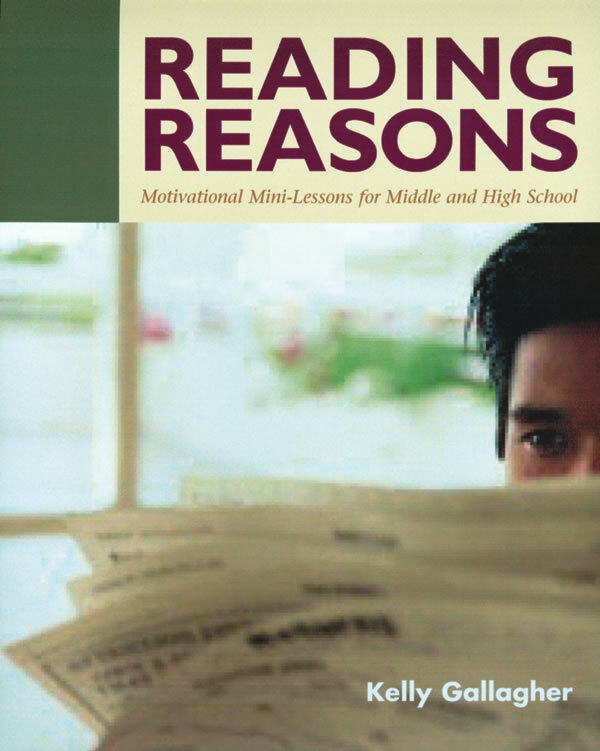 In Reading Reasons, Kelly Gallagher offers a series of mini-lessons specifically tailored to motivate middle and high school students to read and, in doing so, to help them understand the importance and relevance reading will take in their lives. This book introduces and explains in detail nine specific "real-world" reasons why students should be readers. The book contains forty practical, classroom-tested and reproducible mini-lessons that get to the heart of reading motivation and that can be used immediately in English (as well as other content-area) classrooms. These easy-to-use motivational lessons serve as weekly reading "boostershots" that help maintain reading enthusiasm in your classroom from September through June. The mini-lessons, ranging from five to twenty minutes in length, hit home with adolescents and, in turn, enable them to internalize the importance reading will play in their lives. Rather than telling students reading is good for them, the lessons in this book show them the benefits of reading. Introduction: "Why Should I Read?"